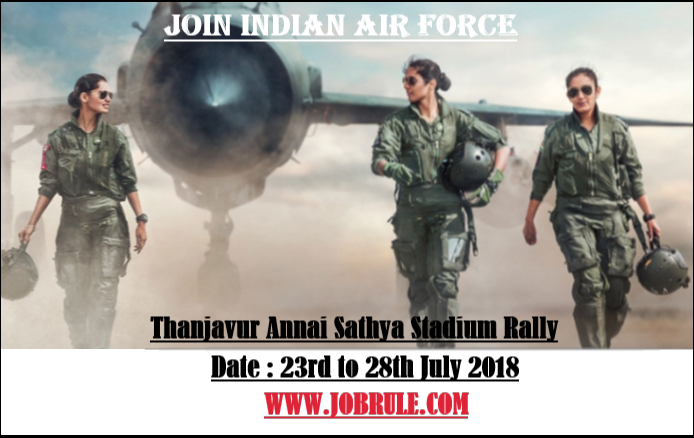 Indian Air Force (IAF) invites unmarried Male Candidates to Appear in Recruitment Rally from 23rd July to 28th July 2018 to join as an Airman in Group “Y’ (Non Technical) (Medical Assistant) Trade at Annai Sathya Stadium, Thanjavur, Tamil Nadu (TN). Candidates from designated districts of Tamil Nadu and Union Territory of Puducherry may attend Thanjavur Air Force Rally 2018 as per schedule . Tamil Nadu Public Service Commission (TNPSC-Chennai) invites Online Application from interested and eligible candidates on behalf of High Court of Madras (Chennai High Court) for direct recruitment for the post of “Personal Assistant (PA-76 Post Code-3300)”, “Personal Assistant to the Registrar (07 Post Code-3400)”, “Personal Clerk to the Deputy Registrars”, “Computer Operator “, “Typist”, “Reader/Examiner”, “Cashier” and “Xerox Operator” on permanent basis. 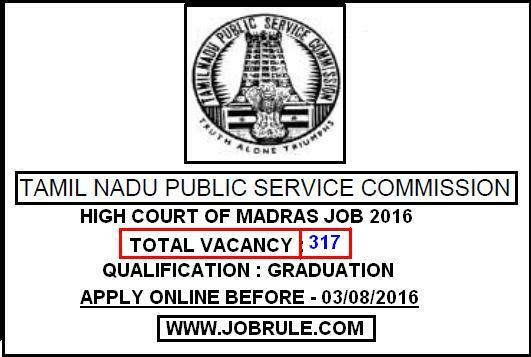 TNPSC 317 Court Job Advertisement July 2016. 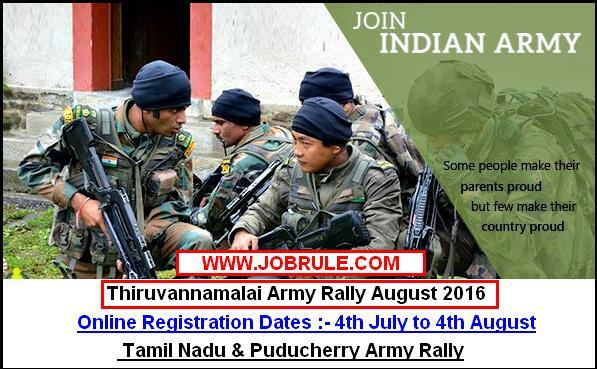 Join Indian Army Open/Direct Rally in Tamil Nadu & Puducherry . Upcoming /Next Indian Army Soldier Recruitment/ Selection Rally at Ramanathapuram Seethakathi Sethupati Sports Stadium advertisement/ Rally schedule dates. 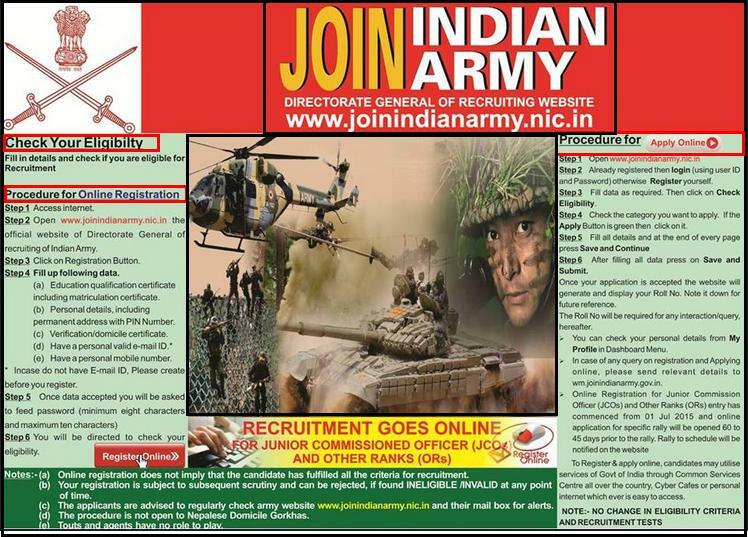 Army Recruiting Office (HQ RO Zone Chennai-ARO) going to conduct a direct/ Open (Pre-Rally Registration is mandatory) Soldier Recruitment Rally at Ramanathapuram Seethakathi Sethupati Sports Stadium on 2nd August (2/8/2016) to 10th August (10/08/2016) to recruits thousands Indian Army Soldier General duty (Sol GD), Soldier Tradesman, Soldier Technical, Soldier Clerk/Store Keeper Technical. Next Army rally dates/ Time schedule in Tamil Nadu and Pondicherry. 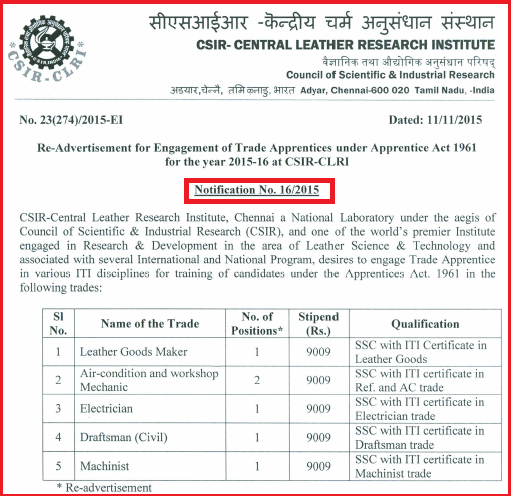 Re-Advertisement for engagement of trade Apprentices under Apprentice Act 1961 for the year 2015-2016 at CSIR-CLRI. CSIR- Central Research Institute, Chennai, Tamil Nadu invites application on prescribed application form for recruitment of CSIR-CLRI Trade Apprentice (Leather Goods Maker, Air-Condition and Workshop mechanic, Electrician, Draftsman-Civil, and Machinist ) on fixed stipend remuneration basis.